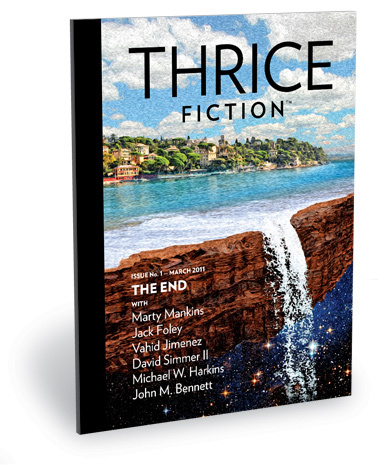 Welcome to the twenty-third issue of Thrice Fiction magazine! Published three times a year, Thrice Fiction is filled with stories, art, and a few surprises from a variety of talented contributors. But the best part? It's absolutely FREE! That's right, you can download a free PDF or eBook at no charge, or purchase a beautiful full-color printed copy from MagCloud! Just follow the links below! READ ONLINE NOW! CLICK HERE to read online in your browser on most any device, no plugins required. $12.40 Magazine! CLICK HERE to purchase a beautiful perfect-bound printed copy from MagCloud... NOTE: Shipping charges and applicable taxes are not included (visit their site for more info). Got an iPad, iPhone, or iPod Touch? Click here for easy 3-step ePub instructions! FREE eBook! CLICK HERE to download an ePub file which will work in most eBook readers for mobile devices... such as iPad, iPhone, Android smartphones, Nook eReader, etc. (click here to learn more). 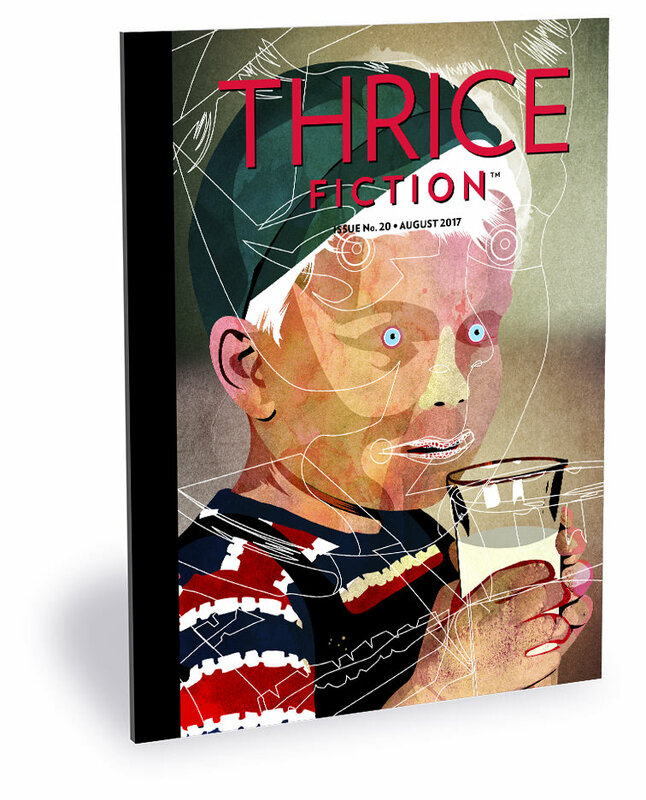 Welcome to the twenty-second issue of Thrice Fiction magazine! Published three times a year, Thrice Fiction is filled with stories, art, and a few surprises from a variety of talented contributors. But the best part? It's absolutely FREE! That's right, you can download a free PDF or eBook at no charge, or purchase a beautiful full-color printed copy from MagCloud! Just follow the links below! $11.60 Magazine! CLICK HERE to purchase a beautiful perfect-bound printed copy from MagCloud... NOTE: Shipping charges and applicable taxes are not included (visit their site for more info). 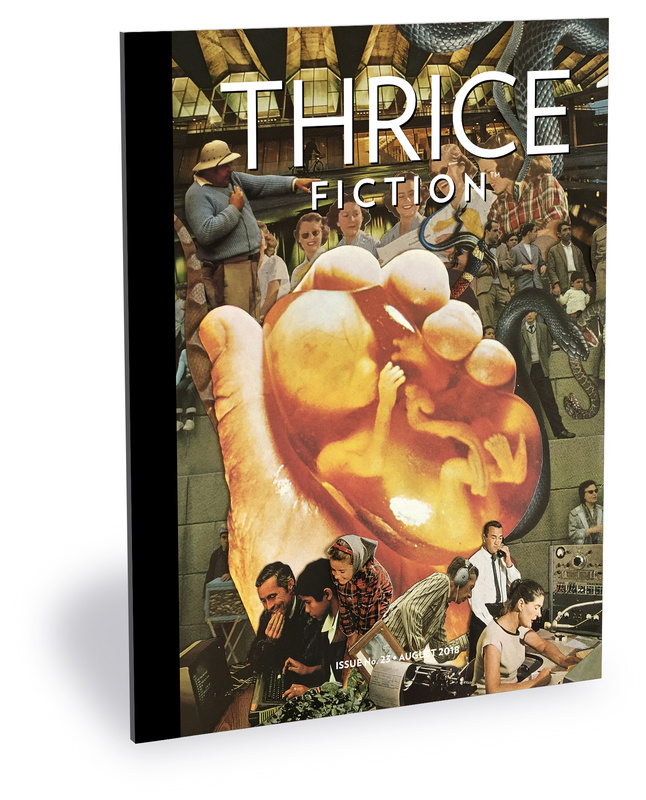 Welcome to the twenty-first issue of Thrice Fiction magazine! Published three times a year, Thrice Fiction is filled with stories, art, and a few surprises from a variety of talented contributors. But the best part? It's absolutely FREE! That's right, you can download a free PDF or eBook at no charge, or purchase a beautiful full-color printed copy from MagCloud! Just follow the links below! Welcome to the twentieth issue of Thrice Fiction magazine! Published three times a year, Thrice Fiction is filled with stories, art, and a few surprises from a variety of talented contributors. But the best part? It's absolutely FREE! That's right, you can download a free PDF or eBook at no charge, or purchase a beautiful full-color printed copy from MagCloud! Just follow the links below! $13.60 Magazine! CLICK HERE to purchase a beautiful perfect-bound printed copy from MagCloud... NOTE: Shipping charges and applicable taxes are not included (visit their site for more info). Welcome to the nineteenth issue of Thrice Fiction magazine! 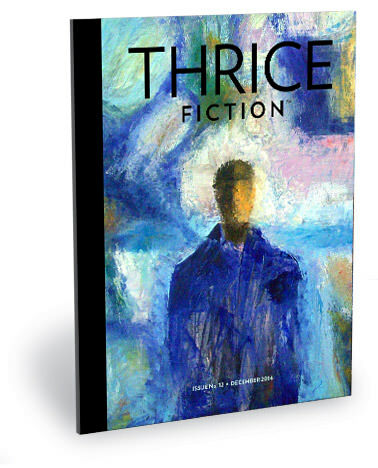 Published three times a year, Thrice Fiction is filled with stories, art, and a few surprises from a variety of talented contributors. But the best part? It's absolutely FREE! That's right, you can download a free PDF or eBook at no charge, or purchase a beautiful full-color printed copy from MagCloud! Just follow the links below! $11.20 Magazine! CLICK HERE to purchase a beautiful perfect-bound printed copy from MagCloud... NOTE: Shipping charges and applicable taxes are not included (visit their site for more info). 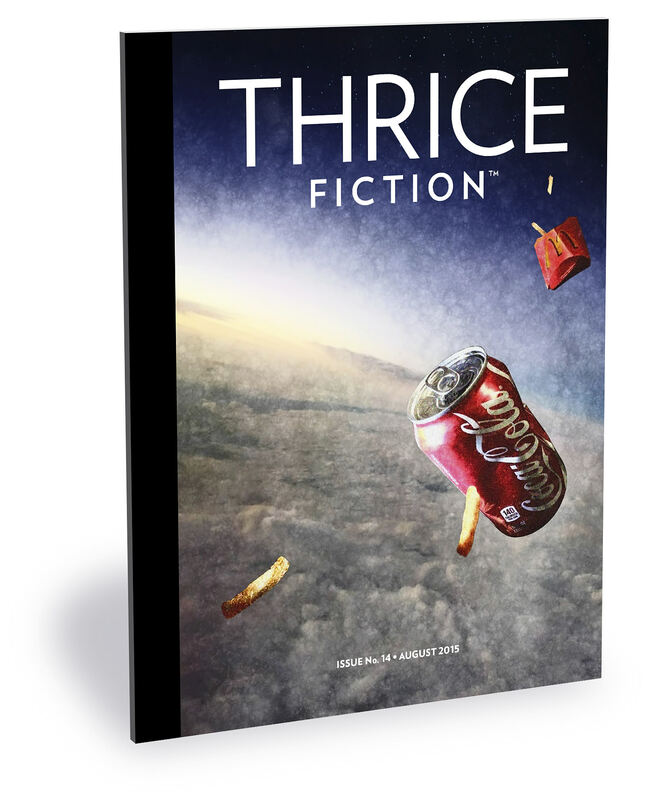 Welcome to the eighteenth issue of Thrice Fiction magazine! Published three times a year, Thrice Fiction is filled with stories, art, and a few surprises from a variety of talented contributors. But the best part? It's absolutely FREE! That's right, you can download a free PDF or eBook at no charge, or purchase a beautiful full-color printed copy from MagCloud! Just follow the links below! $11.80 Magazine! CLICK HERE to purchase a beautiful perfect-bound printed copy from MagCloud... NOTE: Shipping charges and applicable taxes are not included (visit their site for more info). Welcome to the seventeenth issue of Thrice Fiction magazine! Published three times a year, Thrice Fiction is filled with stories, art, and a few surprises from a variety of talented contributors. But the best part? It's absolutely FREE! That's right, you can download a free PDF or eBook at no charge, or purchase a beautiful full-color printed copy from MagCloud! Just follow the links below! $13.40 Magazine! CLICK HERE to purchase a beautiful perfect-bound printed copy from MagCloud... NOTE: Shipping charges and applicable taxes are not included (visit their site for more info). Welcome to the sixteenth issue of Thrice Fiction magazine! Published three times a year, Thrice Fiction is filled with stories, art, and a few surprises from a variety of talented contributors. But the best part? It's absolutely FREE! That's right, you can download a free PDF or eBook at no charge, or purchase a beautiful full-color printed copy from MagCloud! Just follow the links below! $9.00 Magazine! CLICK HERE to purchase a beautiful perfect-bound printed copy from MagCloud... NOTE: Shipping charges and applicable taxes are not included (visit their site for more info). Welcome to the fifteenth issue of Thrice Fiction magazine! Published three times a year, Thrice Fiction is filled with stories, art, and a few surprises from a variety of talented contributors. But the best part? It's absolutely FREE! That's right, you can download a free PDF or eBook at no charge, or purchase a beautiful full-color printed copy from MagCloud! Just follow the links below! $7.80 Magazine! CLICK HERE to purchase a beautiful perfect-bound printed copy from MagCloud... NOTE: Shipping charges and applicable taxes are not included (visit their site for more info). Welcome to the fourteenth issue of Thrice Fiction magazine! Published three times a year, Thrice Fiction is filled with stories, art, and a few surprises from a variety of talented contributors. But the best part? It's absolutely FREE! That's right, you can download a free PDF or eBook at no charge, or purchase a beautiful full-color printed copy from MagCloud! Just follow the links below! $9.80 Magazine! CLICK HERE to purchase a beautiful perfect-bound printed copy from MagCloud... NOTE: Shipping charges and applicable taxes are not included (visit their site for more info). 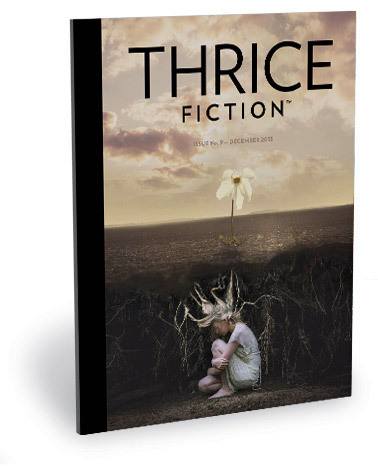 Welcome to the thirteenth issue of Thrice Fiction magazine! 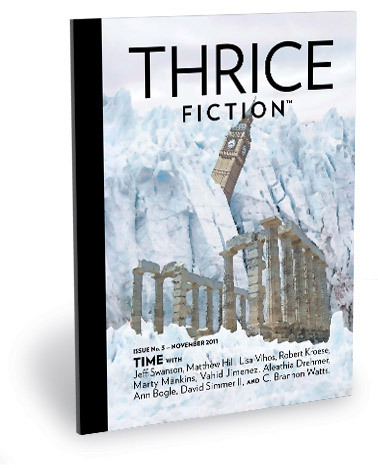 Published three times a year, Thrice Fiction is filled with stories, art, and a few surprises from a variety of talented contributors. But the best part? It's absolutely FREE! That's right, you can download a free PDF or eBook at no charge, or purchase a beautiful full-color printed copy from MagCloud! Just follow the links below! $10.60 Magazine! CLICK HERE to purchase a beautiful perfect-bound printed copy from MagCloud... NOTE: Shipping charges and applicable taxes are not included (visit their site for more info). Welcome to the twelfth issue of Thrice Fiction magazine! 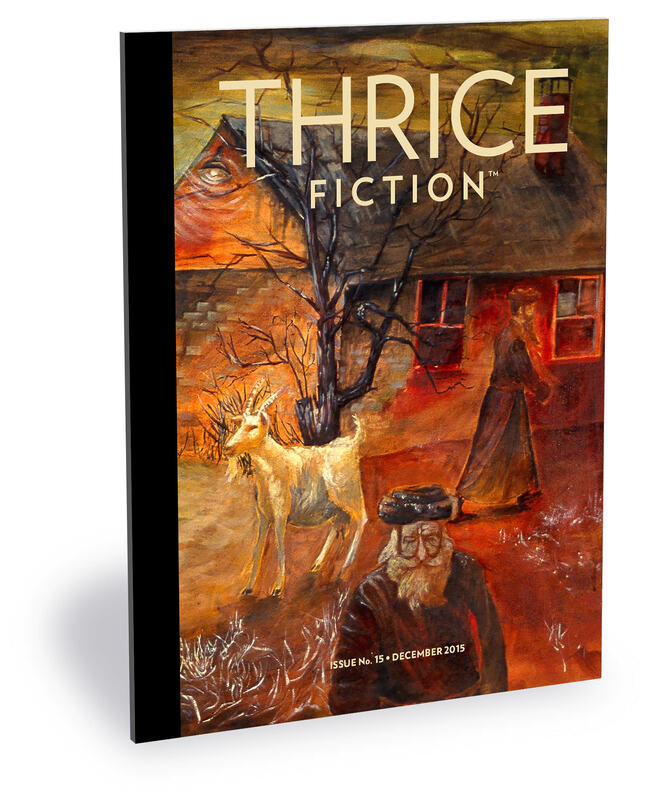 Published three times a year, Thrice Fiction is filled with stories, art, and a few surprises from a variety of talented contributors. But the best part? It's absolutely FREE! That's right, you can download a free PDF or eBook at no charge, or purchase a beautiful full-color printed copy from MagCloud! Just follow the links below! Welcome to the eleventh issue of Thrice Fiction magazine! 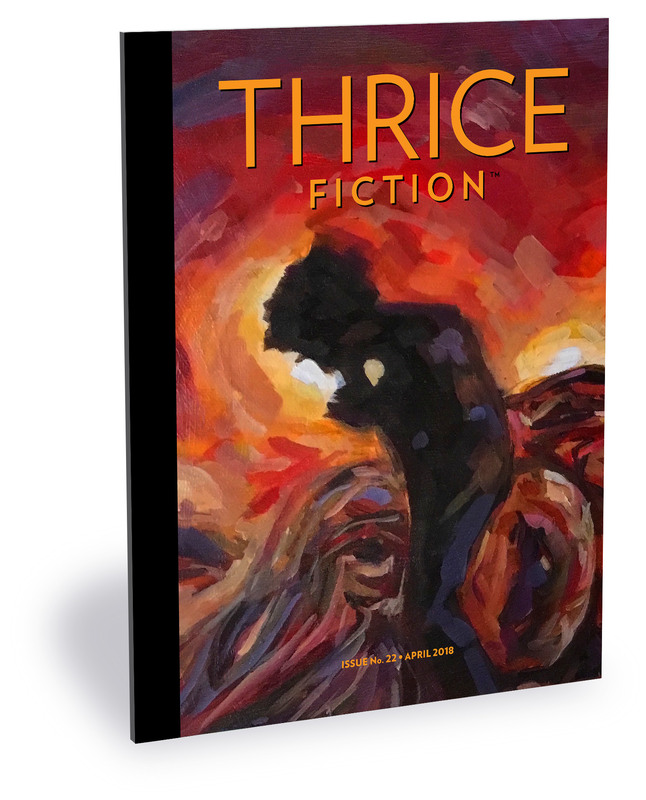 Published three times a year, Thrice Fiction is filled with stories, art, and a few surprises from a variety of talented contributors. But the best part? It's absolutely FREE! That's right, you can download a free PDF or eBook at no charge, or purchase a beautiful full-color printed copy from MagCloud! Just follow the links below! $11.40 Magazine! CLICK HERE to purchase a beautiful perfect-bound printed copy from MagCloud... NOTE: Shipping charges and applicable taxes are not included (visit their site for more info). Welcome to the tenth issue of Thrice Fiction magazine! Published three times a year, Thrice Fiction is filled with stories, art, and a few surprises from a variety of talented contributors. But the best part? It's absolutely FREE! That's right, you can download a free PDF or eBook at no charge, or purchase a beautiful full-color printed copy from MagCloud! Just follow the links below! $8.20 Magazine! CLICK HERE to purchase a beautiful perfect-bound printed copy from MagCloud... NOTE: Shipping charges and applicable taxes are not included (visit their site for more info). 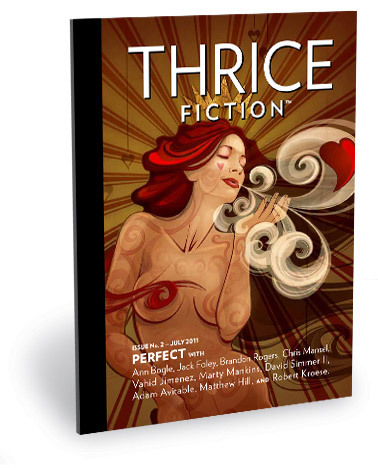 Welcome to the ninth issue of Thrice Fiction magazine! 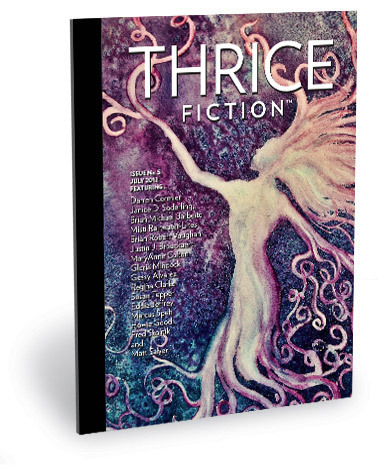 Published three times a year, Thrice Fiction is filled with stories, art, and a few surprises from a variety of talented contributors. But the best part? It's absolutely FREE! That's right, you can download a free PDF or eBook at no charge, or purchase a beautiful full-color printed copy from MagCloud! Just follow the links below! 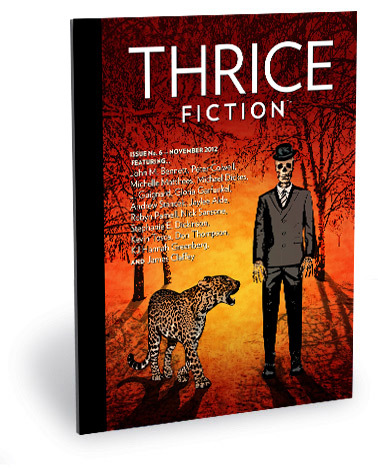 Welcome to the eighth issue of Thrice Fiction magazine! 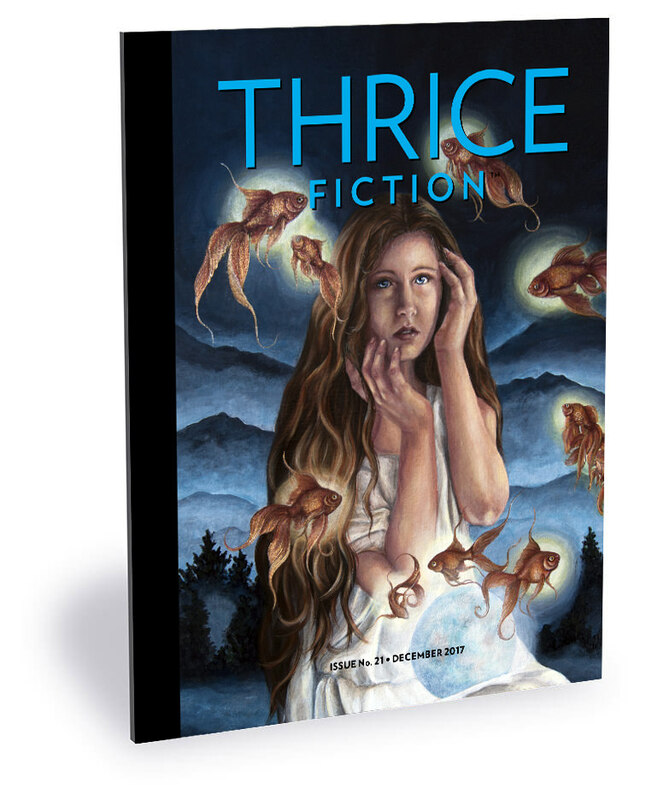 Published three times a year, Thrice Fiction is filled with stories, art, and a few surprises from a variety of talented contributors. But the best part? It's absolutely FREE! That's right, you can download a free PDF or eBook at no charge, or purchase a beautiful full-color printed copy from MagCloud! Just follow the links below! $15.00 Magazine! CLICK HERE to purchase a beautiful perfect-bound printed copy from MagCloud... NOTE: Shipping charges and applicable taxes are not included (visit their site for more info). Welcome to the seventh issue of Thrice Fiction magazine! 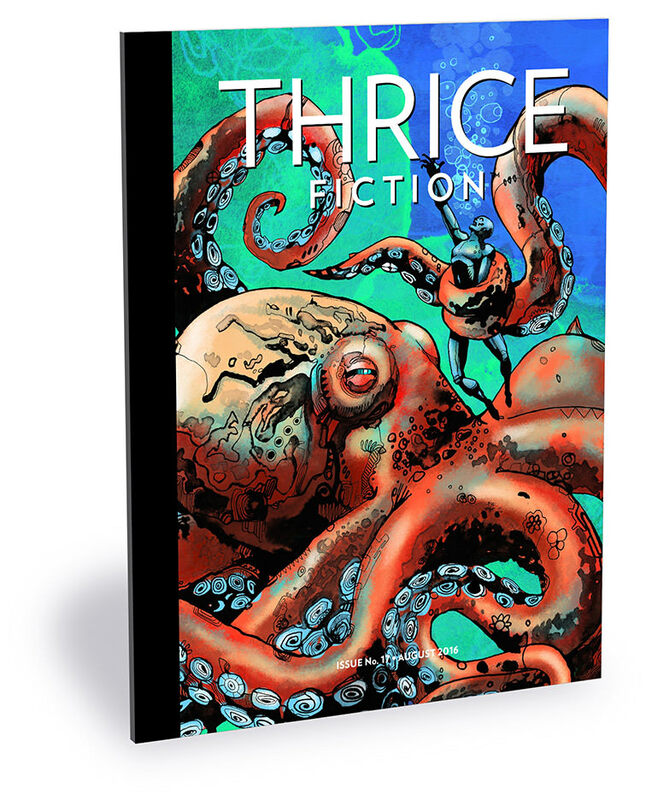 Published three times a year, Thrice Fiction is filled with stories, art, and a few surprises from a variety of talented contributors. But the best part? It's absolutely FREE! That's right, you can download a free PDF or eBook at no charge, or purchase a beautiful full-color printed copy from MagCloud! Just follow the links below! FREE PDF! 8.2 MB - CLICK HERE to download a PDF file, suitable for reading on most devices... such as Macs, Windows PCs, Linux PC's, iPads, etc. (click here to learn more). FREE eBook! 3.5 MB - CLICK HERE to download an ePub file which will work in most eBook readers for mobile devices... such as iPad, iPhone, Android smartphones, Nook eReader, etc. (click here to learn more). 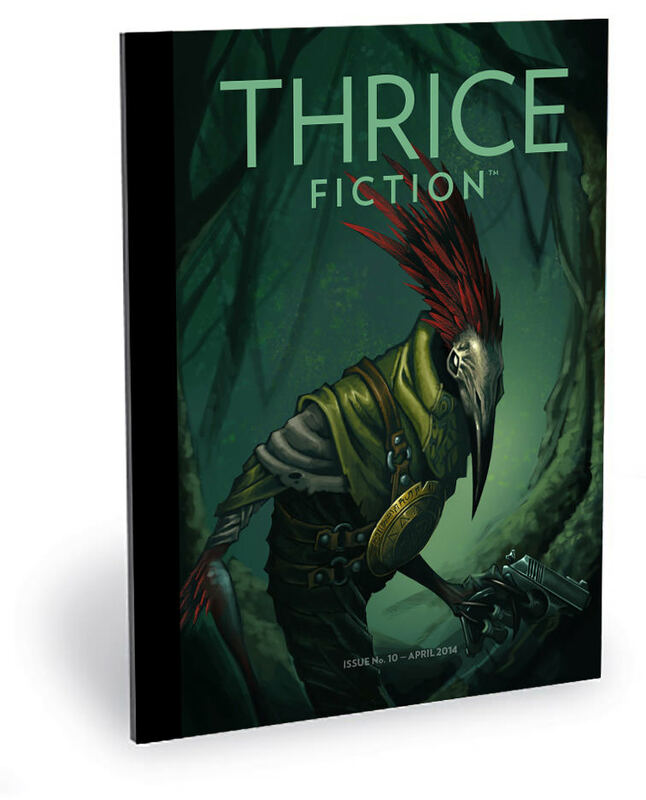 Welcome to the sixth issue of Thrice Fiction magazine! 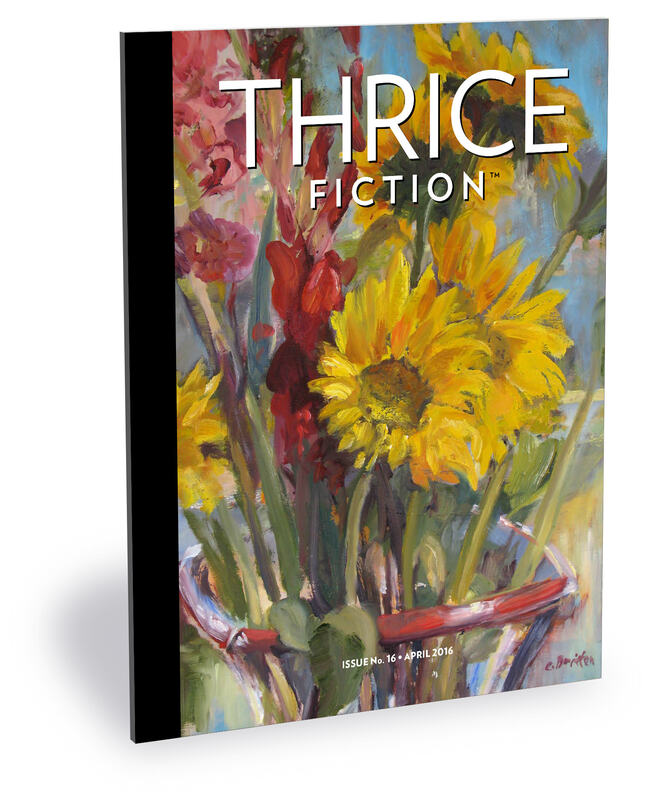 Published three times a year, Thrice Fiction is filled with stories, art, and a few surprises from a variety of talented contributors. But the best part? It's absolutely FREE! That's right, you can download a free PDF or eBook at no charge, or purchase a beautiful full-color printed copy from MagCloud! Just follow the links below! FREE PDF! 5 MB - CLICK HERE to download a PDF file, suitable for reading on most devices... such as Macs, Windows PCs, Linux PC's, iPads, etc. (click here to learn more). $7.40 Magazine! CLICK HERE to purchase a beautiful perfect-bound printed copy from MagCloud... NOTE: Shipping charges and applicable taxes are not included (visit their site for more info). 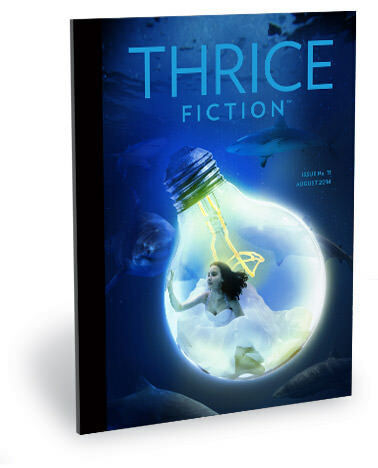 Welcome to the fifth issue of Thrice Fiction magazine! 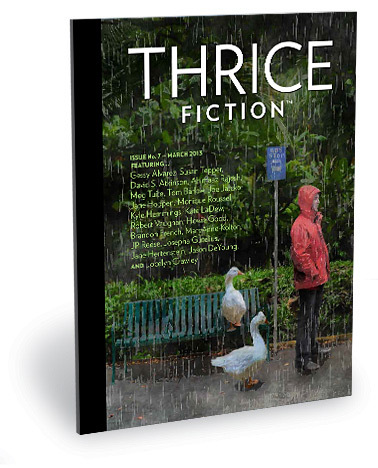 Published three times a year, Thrice Fiction is filled with stories, art, and a few surprises from a variety of talented contributors. But the best part? It's absolutely FREE! That's right, you can download a free PDF or eBook at no charge, or purchase a beautiful full-color printed copy from MagCloud! Just follow the links below! FREE PDF! CLICK HERE to download a PDF file, suitable for reading on most devices... such as Macs, Windows PCs, Linux PC's, iPads, etc. (click here to learn more). Welcome to the fourth issue of Thrice Fiction magazine! 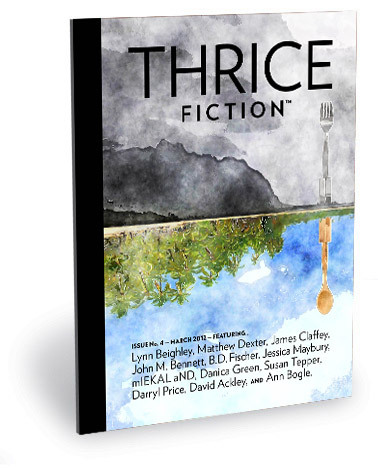 Published three times a year, Thrice Fiction is filled with stories, art, and a few surprises from a variety of talented contributors. But the best part? It's absolutely FREE! That's right, you can download a free PDF or eBook at no charge, or purchase a beautiful full-color printed copy from MagCloud! Just follow the links below! FREE PDF! CLICK HERE to download a PDF file, suitable for reading on larger-screen devices... such as Macs, Windows PCs, Linux PC's, etc. (click here to learn more). $7.80 Magazine! CLICK HERE to purchase a beautiful perfect-bound printed copy from MagCloud... NOTE: Shipping charges and applicable taxes are not included (visit MagCloud for more information). Got an iPad, iPhone, or iPod Touch? Click here for easy 3-step instructions! Thrice Fiction™ No. 3: TIME! 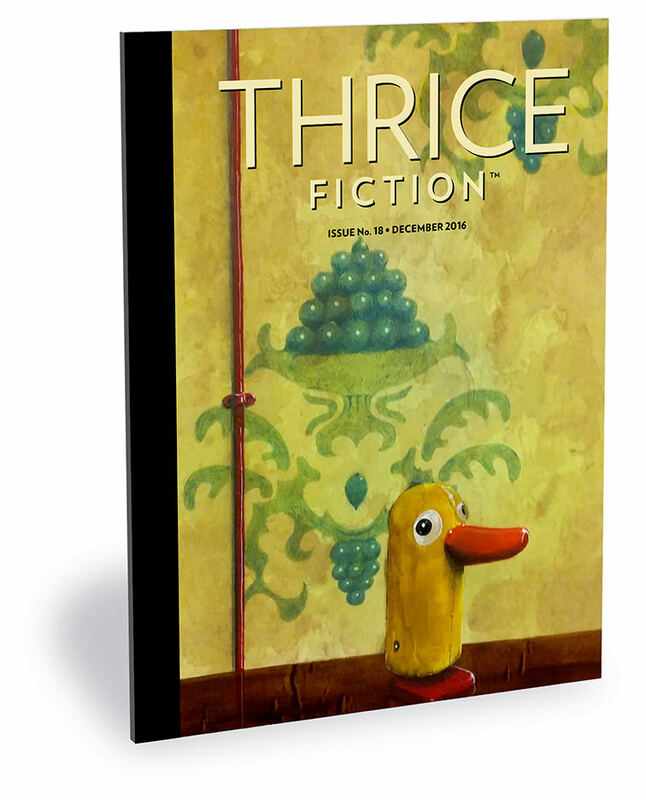 Welcome to the third issue of Thrice Fiction magazine! Published three times a year, Thrice Fiction is filled with stories, art, and a few surprises from a variety of talented contributors. But the best part? It's absolutely FREE! That's right, you can download a free PDF or eBook at no charge, or purchase a beautiful full-color printed copy from MagCloud! Just follow the links below! $5.80 Magazine! CLICK HERE to purchase a beautiful perfect-bound printed copy from MagCloud... NOTE: Shipping charges and applicable taxes are not included (visit MagCloud for more information). Thrice Fiction™ No. 2: PERFECT! 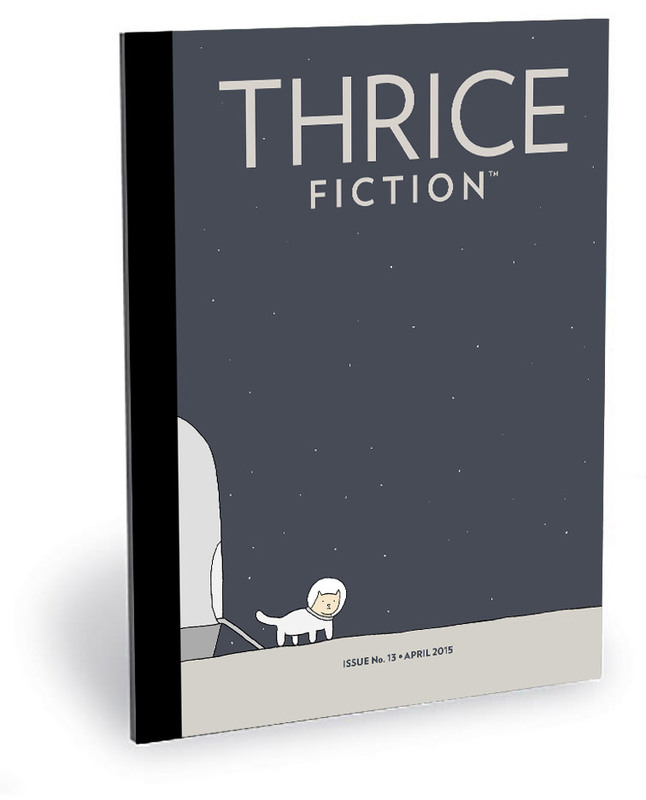 Welcome to the second issue of Thrice Fiction magazine! Published three times a year, Thrice Fiction is filled with stories, art, and a few surprises from a variety of talented contributors. But the best part? It's absolutely FREE! That's right, you can download a free PDF or eBook at no charge, or purchase a beautiful full-color printed copy from MagCloud! Just follow the links below! $8.60 Magazine! CLICK HERE to purchase a beautiful perfect-bound printed copy from MagCloud... NOTE: Shipping charges and applicable taxes are not included (visit MagCloud for more information). Thrice Fiction™ No. 1: THE END! 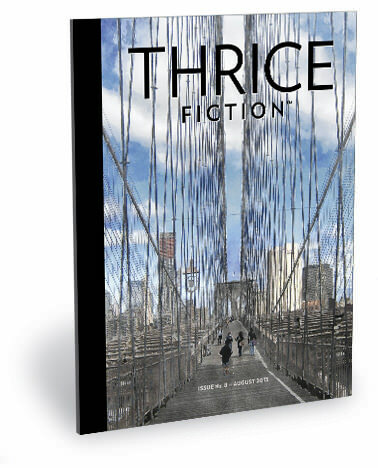 Welcome to the debut of Thrice Fiction magazine! 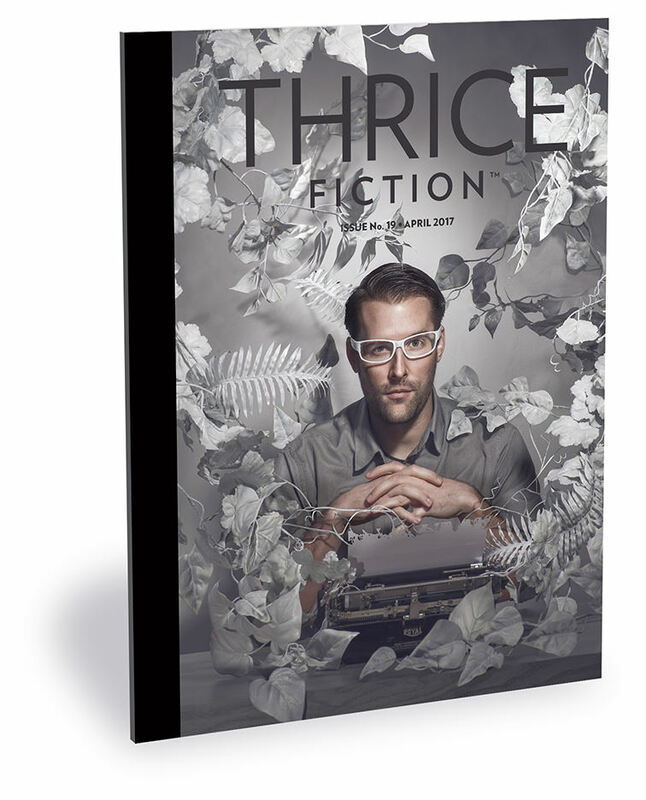 Published three times a year, Thrice Fiction is filled with stories, art, and a few surprises from a variety of talented contributors. But the best part? It's absolutely FREE! That's right, you can download a free PDF or eBook at no charge, or purchase a beautiful full-color printed copy from MagCloud! Just follow the links below! Our first issue's theme? The End. Thanks for supporting Thrice Fiction! Tell your friends! Want to contribute to Thrice? Have a look at our submission guidelines! All content is ©2011-2018 by their respective creators and reproduced with permission. No part of this site may be reproduced without permission from the copyright holders.